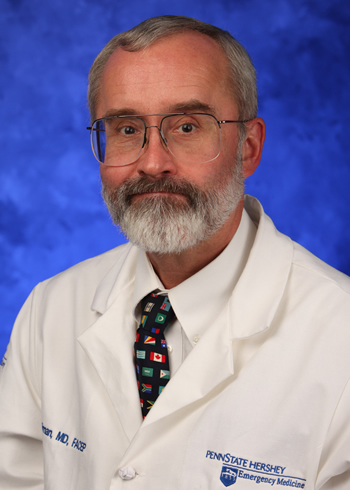 A graduate of Case Western Reserve (BA), Cleveland State (MS), and NEOMED (MD), Dr. Mencl has been an emergency physician for more than 25 years. After completing his residency in EM at Akron City Hospital (Summa Health System), he stayed on, eventually becoming the system EMS Medical Director. In this leadership position, he assisted the hospital in acquiring and maintaining a variety of certifications and accreditations including level 1 trauma center, STEMI and chest pain, as well as stroke center. He also revamped numerous EMS protocols and introduced many area firsts. Dr. Mencl’s passions include teaching and research. 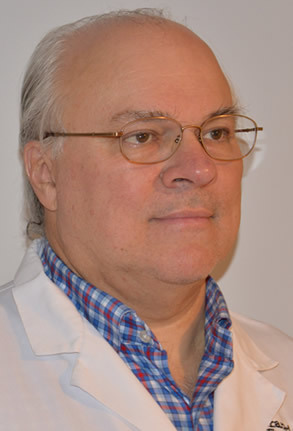 He is professor of Emergency Medicine at NEOMED, lectures nationally and internationally, and is on the editorial board of Prehospital Emergency Care. He has translated research into practice using some of his published work to develop best practices for his EMS agencies and helped Summa’s STEMI program achieve significant savings in time-to-intervention. Under his direction, the EMS curriculum for the residents and EMS continuing education for the EMTs and paramedics was revamped moving to more hands-on, case-based, and simulation training, even going out for an overnight training at the local national park. From 2004-2006 Dr. Mencl took a sabbatical to serve as the program director of a new EM residency at the OLVG hospital in Amsterdam, the Netherlands, thus gaining additional insight into different health care systems. After leaving Summa Health System, Dr. Mencl continues to work in the ED but has also done wound and worked in a Subaxone clinic. He is now board certified in EMS and continues to serve on several area, state, and national committees while teaching whenever possible. Adjunct Professor of Emergency Medicine at George Washington University in Washington, D.C.
Dr. Holliman (Jim) also is the Past-President of the International Federation for Emergency Medicine, a consortium of all of the world's national and regional Emergency Medicine organizations. Jim's career has been centered around the development of the specialty of Emergency Medicine and training programs internationally. Describe the inter-relationships between healthcare reform, tort reform, welfare reform, and prison reform.